The UR2-24 Series LED Upgrade Kit comes with (2) 2 feet lightbars. Designed for existing T8/T12 linear fluorescent fixtures replacing the fluorescent lamps with the energy saving, long life, and enhanced color quality benefits of Cree LED technology. The UR3-24 Series LED Upgrade Kit comes with (3) 2 feet lightbars. Designed for existing T8/T12 linear fluorescent fixtures replacing the fluorescent lamps with the energy saving, long life, and enhanced color quality benefits of Cree LED technology. 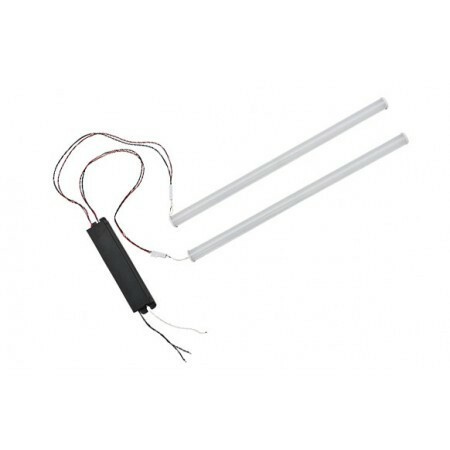 The UR2-48 Series LED Upgrade Kit comes with (2) 4 feet lightbars. Designed for existing T8/T12 linear fluorescent fixtures replacing the fluorescent lamps with the energy saving, long life, and enhanced color quality benefits of Cree LED technology. The UR3-48 Series LED Upgrade Kit comes with (3) 4 feet lightbars. Designed for existing T8/T12 linear fluorescent fixtures replacing the fluorescent lamps with the energy saving, long life, and enhanced color quality benefits of Cree LED technology.